This is an authentic Husqvarna replacement part. Lock nuts are commonly used in lawn and garden equipment because when they are properly installed they will resist loosening. Lawn and garden equipment often produces a high level of vibration during operation, therefore a lock nut would be valuable in ensuring components and connections remain intact and in place throughout operation. We recommend you refer to model specific diagrams for appropriate uses and applications. This lock nut is made of metal, and it measures approximately 5/16-18. 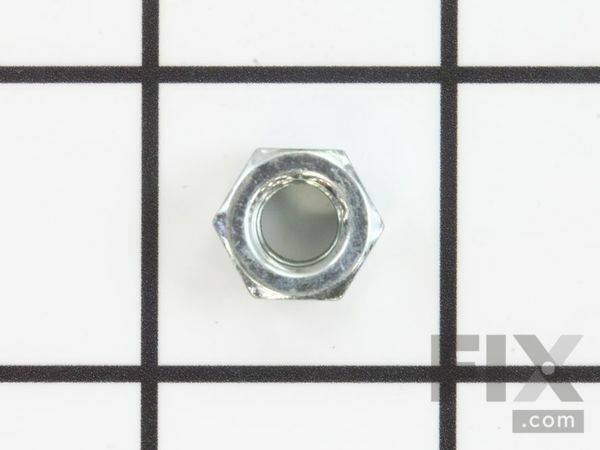 To install this replacement part you simply use a wrench to thread this nut onto a bolt. This luck nut is sold individually. Lawn Mower, Lawn Tractor, Snow Blower, Tiller.